Made with premium quality standards, BC Acoustique EX-12 CD player was designed for the high-fidelity audiophile; ensuring a faithful reproduction of his favourite music. BC Acoustique EX-612 is capable of reading all CD-R/RW and MP3 format. The USB input can read MP3 and WMA music files formats up to 320Kbps. 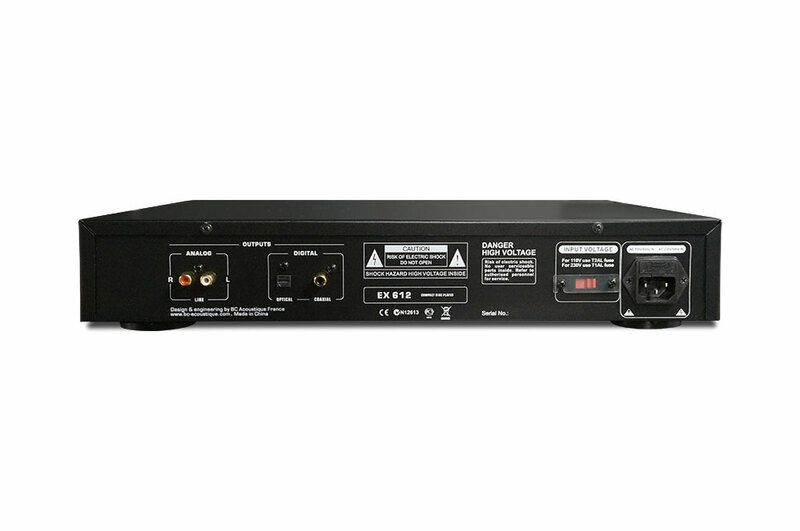 It has a digital-to-analog audio converter for high-quality music.